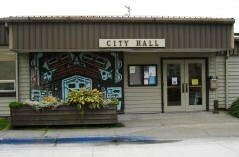 The Wrangell Borough Assembly voted Tuesday to change the borough’s property tax due date for the second time this year. Starting in 2016, property taxes will be due by Oct. 15. At an earlier meeting, Assembly Member Julie Decker said some residents suggested changing the Sept. 15 due date. For this year, the assembly decided to give residents more time to prepare for the change by keeping a two-payment plan in place. The first half of this year’s property taxes was due Sept. 15. The second half is due by Dec. 15, as it was in the past. The assembly also approved a $91,000 loan from the U.S. Department of Agriculture for the replacement of two sewer pump stations.